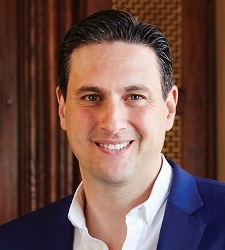 Lagardère saw retrenchments in the education sector across its multi-national publishing operation, including the UK, but chief executive David Shelley (pictured) pointed out highlights in the wider British business and a strong start to the current quarter. "After a standout first half, overall Q3 had fewer major releases for HUK, yet some unexpected bestsellers and strong backlist and ebook sales. 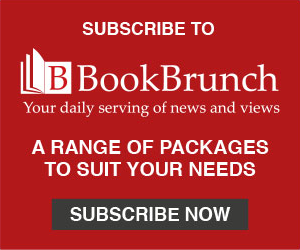 Bookouture had a very good summer with sales in the UK up year on year and significant growth coming from the UK and Australia, and in this period the imprint sold its three millionth Angela Marsons novel. John Murray Press had its second best ever month in August, Deliciously Ella:The Plant-based Cookbook by Ella Woodward was a major success for Hodder & Stoughton and the film tie-in of Sarah Waters’ Little Stranger, together with Val McDermid’s Broken Ground, The Guilty Feminist by Deborah Frances-White and Robert Galbraith’s new Cormoran Strike novel Lethal White were notable bestsellers for Little, Brown in the period. Hans Rosling’s Factfulness (Sceptre) and Ben Brooks’ Stories for Boys Who Dare to be Different (Quercus) continued to backlist strongly. Hodder Education’s results tracked the market, which was muted in September due to distance from the last curriculum change. "Q4 has started extremely strongly for the whole UK group with Number 1 bestsellers including Brief Answers to the Big Questions by Stephen Hawking (John Murray), In a House of Lies by Ian Rankin (Orion) and Listening to the Animals: Becoming the Supervet (Trapeze) by Noel Fitzpatrick. And this week Hachette has four of the Sunday Times hardback non-fiction Top 10 and five of the hardback fiction Top 10." In its results statement, parent company Lagardère said: 'Business retreated (down 6.3%) due to the absence of curriculum reform in France, Spain and the United Kingdom. However, the United States posted a healthy performance on the back of a sustained release schedule,' according to the results announcement. 'Third-quarter revenue totalled €607 million, down 6.3% like-for-like and down 6.1% on a consolidated basis. The difference between consolidated and like-for-like figures is due to a positive scope effect of €2 million, mainly reflecting the acquisitions of Jessica Kingsley and Summersdale. The currency effect was neutral for the quarter. 'The decline in business in the United Kingdom (down 6.7%) was due mainly to the retreat in the Education segment and, to a lesser extent, a lighter release schedule than in 2017 which included successful titles such as Martina Cole's Damaged and four new Famous Five releases. 'The United States delivered a sparkling performance, with growth of 5.1% driven by the continued success of the Perseus backlist, especially Jen Sincero’s You are a Badass, and by a strong release schedule at Grand Central Publishing, including Sally Field’s In Pieces. The third-quarter performance was also lifted by the success of the Bill Clinton and James Patterson novel The President is Missing across all formats, especially e-books and digital audio. Across the wider Lagardère Group the results statement reported: 'revenue totalled €1,895 million, versus €1,858 million in third-quarter 2017, representing an increase of 2.6% like-for-like and of 2.0% on a consolidated basis.